The following table was prepared by Charles T. Leonard in 1960 based on a visit to the Bartlett Cemetery. 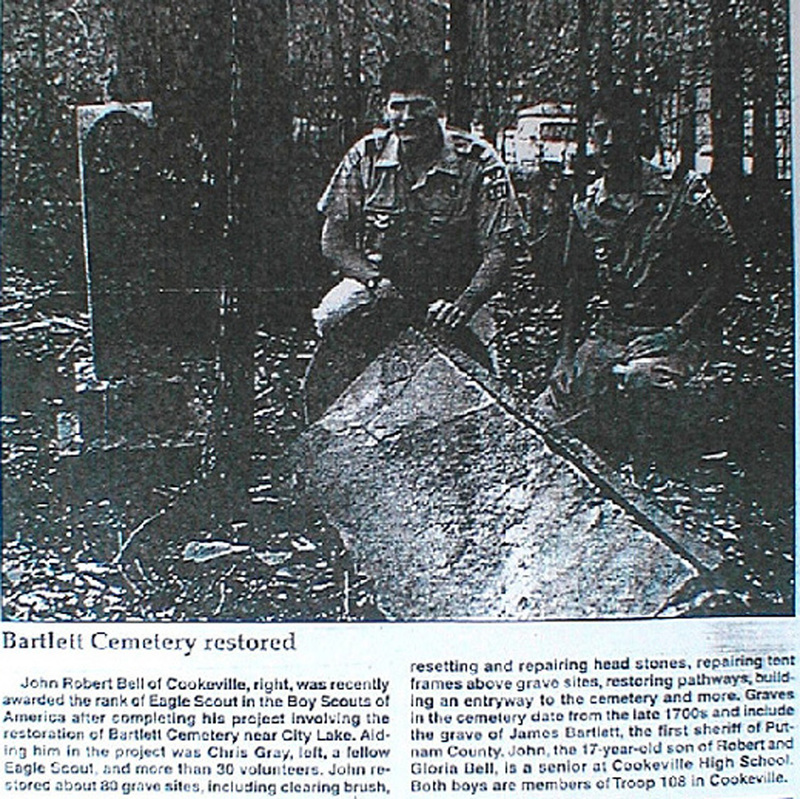 It agrees with the same information that appears in the book Putnam County Tennessee Cemeteries compiled and published by Maurine Ensor Patton, 1656 W. Broad, Cookeville, TN. It also agrees with my personal observations and research. 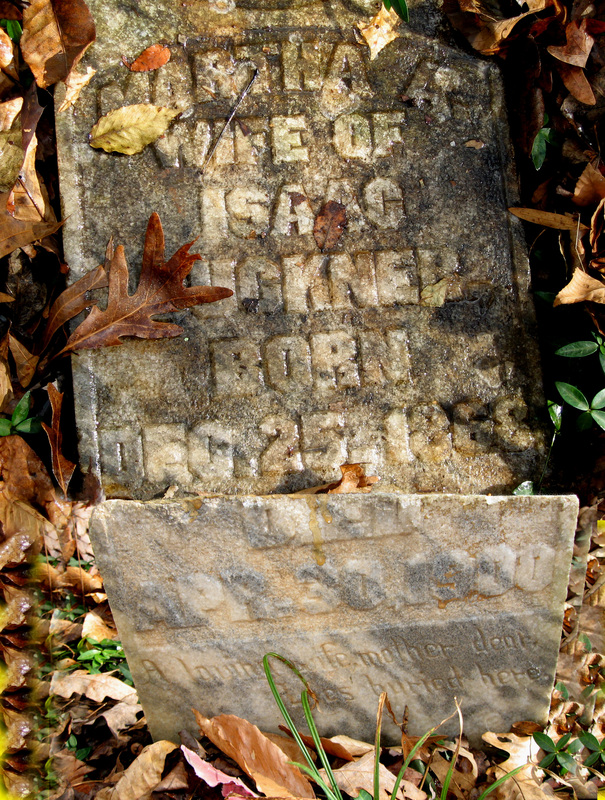 This tombstone was digitally pieced together to show the inscription. It reads: Martha, wife of Isaac Buckner, born 25 December, 1868, died 20 April, 1900. She was the wife of Elizabeth's sister's son.